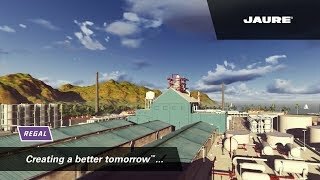 Process efficiency, safe operations and automation are the cornerstone of profitability in the primary metals industry. We offer one point of contact to assist with short or long term project planning. Our experienced team can lower the cost and offers a higher ROI in key areas such as design, materials, lubrication, and maintenance. With unscheduled downtime costing 10’s to 100’s of thousands of dollars, reliable products are a must in the harsh environments of metals industry. 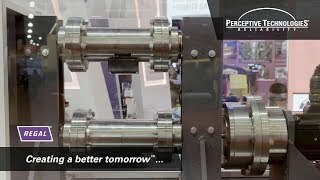 With more than 100 years’ experience in providing harden solutions to customer’s requirements, you can be assured that dependability is built into every motor, coupling and spindle. Our brands are at the heart of a primary metals mill. From AC drives and controls, to bearings and couplings, to motors and mechanical drive systems, Regal brands have you covered in the toughest and dirtiest of applications. A Michigan-based steel manufacturing facility installed a new reducer on one of its roughing mills due to damage within the existing reducer. The mill was concerned that the loads being transmitted through the gear reducer may be exceeding design limits. 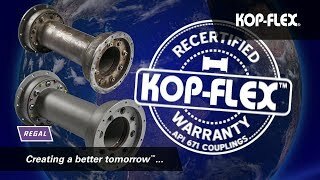 Kop-Flex High Performance Couplings can be repaired and recertified for continued reliable service in API-671 applications. Receive a renewed warranty at a price typically for 40-50% of a new one. Torque monitoring enables operators of turbomachinery equipment to evaluate the performance of their equipment. 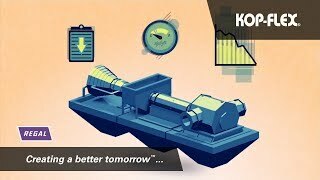 The Kop-Flex Powerlign™ Torque monitoring system helps to pinpoint the source of inefficiencies in equipment trains. Regal manufactures high quality motors, control and power transmission products for a myriad of industries and applications: from high efficiency severe duty, pump and roller table motors to medium voltage. Our drives and controls are “Performance Matched” to operate seamlessly with our motors. The reliability of our power transmission products guarantees years of trouble free performance in the most demanding applications. The primary metals industry has endured exceptionally difficult operating conditions over the five years since 2017. The industrial production index measures output from the mining, manufacturing, electric and gas sectors. Industrial production is closely linked to demand for primary metals because it is used in a variety of industrial applications, from machinery manufacturing to oil pipelines. The aluminum manufacturing industry includes companies that refine aluminum-bearing bauxite into alumina and smelt alumina to produce aluminum. Industry operators also recycle aluminum from scrap metal, which is a less energy intensive process known as secondary aluminum production. The industry also includes a wide range of both vertically integrated and standalone manufacturers that process unwrought aluminum (typically purchased from upstream manufacturers but also produced internally) into intermediary and value added products such as plate, sheet, foil and extrusions for downstream manufacturing and construction markets. Aluminum is a lightweight, ductile, corrosion-resistant, highly conductive and infinitely recyclable material, making it particularly useful in an array of applications. Accordingly, aluminum products are used as inputs in automotive and aerospace structural components, electrical machinery and parts, packaging materials, nonresidential construction and a wide range of other applications. Regal actively supports and participates in industry leading trade associations, such as the Association for iron & Steel Technology (AIST), the National Electrical Manufactures Association (NEMA) and the Power Transmission Distributor Association (PTDA) that promote the primary metals industry and its member organizations.